Defective has a fully equipped staff of digital wizards right in-house. 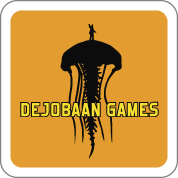 We have professional experience in iPad apps, mobile goodies, the Unity game engine and all things art. 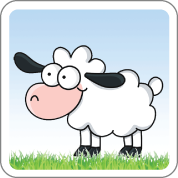 Click this adorable email icon to get the ball rolling! The indie devs behind gems including the AaaaaAAaaAAaA series (A Reckless Disregard for Gravity, For The Awesome, and Force = Mass x Acceleration), and 1. 2. 3. Kick It, Drop That Beat Like An Ugly Baby, Dejobaan brought Defective in to port Ugly Baby to Unity. 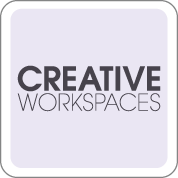 Creative Workspaces is a project management system targeted at artists and creative types. Artists can sign up and create a project in which they can share files, discuss, invoice clients, assign tasks, and manage polls. 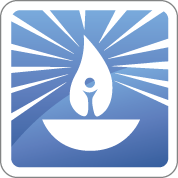 Illuminations is a native iOS / Android app for the Unitarian Universalists Association containing a database of inspirational words, a listing of their seven principles, and a virtual chalice lighter which the user can realistically tilt and blow out. Trigger is an HTML5 iOS app which is targeted at extreme sports enthusiasts and travelers, to track their location and alert friends of missed check-ins. The app utilizes GPS and the user's contacts for a hassle-free user experience.